When you've got the biggest movie in Marvel Studios history, you put it on the biggest screen possible. 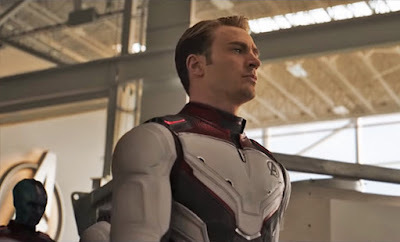 Marvel really wants you to see Avengers: Endgame in IMAX.The Russo Brothers did more than just format the movie to meet the technical standards, they shot the whole thing in IMAX. And they've been rewarded for their hard work with a trailer that pushed the format, and now a featurette that gives all the reasons why you should spring for that deluxe-priced ticket. The Russos take time out from their busy schedule teasing fans to tout the reasons they shot Endgame in IMAX, using the new Alexa IMAX 65mm cameras. They used it to film the airport fight sequence in Captain America: Civil War, going on to shoot Infinity War and Endgame entirely that way. Expect to see a pristine, crystal clear image with greater dynamic range and a screen that's up to 26% bigger than what you'll get at standard theater screens. Or you could save a few bucks and see it in 2D. You got that option, too.